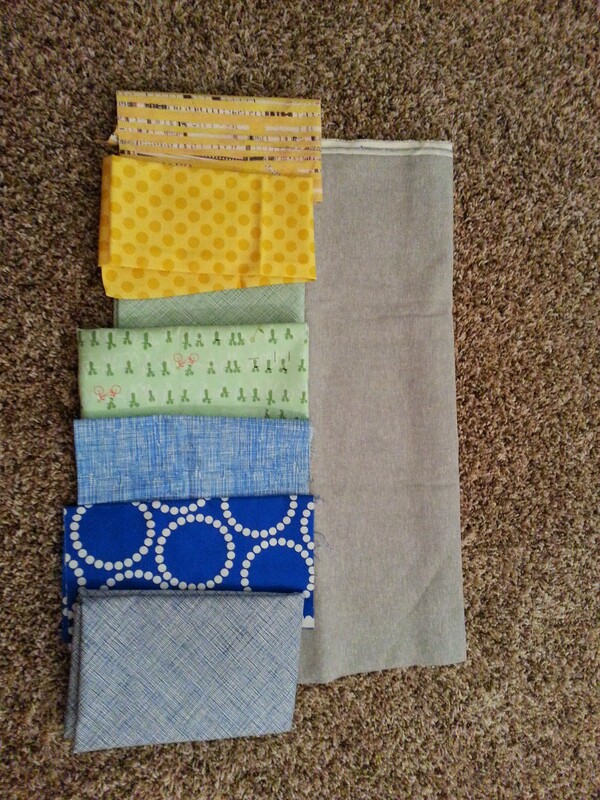 Sew Sew Modern 4 Swap Complete! This was a super fun swap. It’s run out of Flickr, using the groups feature. 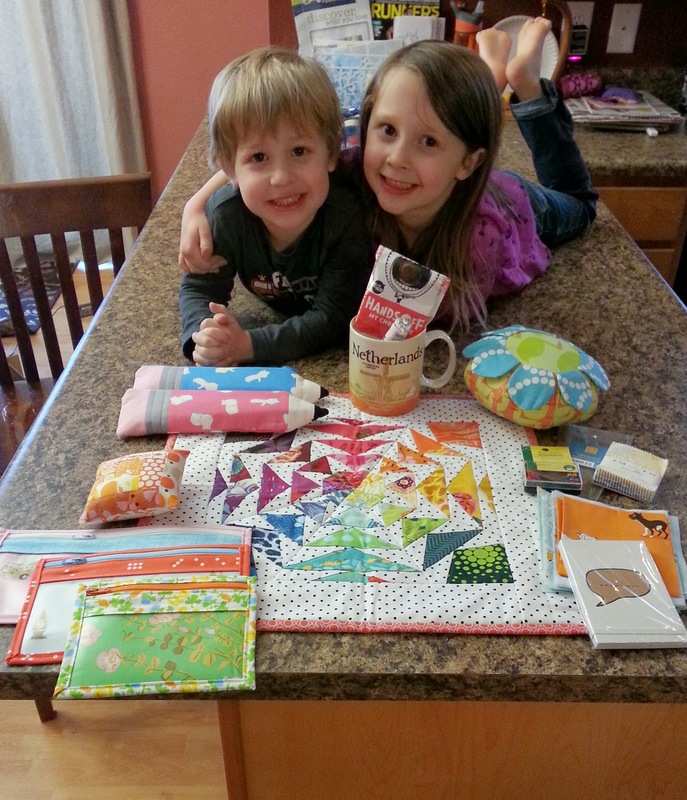 I received an awesome package from my friend Linda in the Netherlands!! 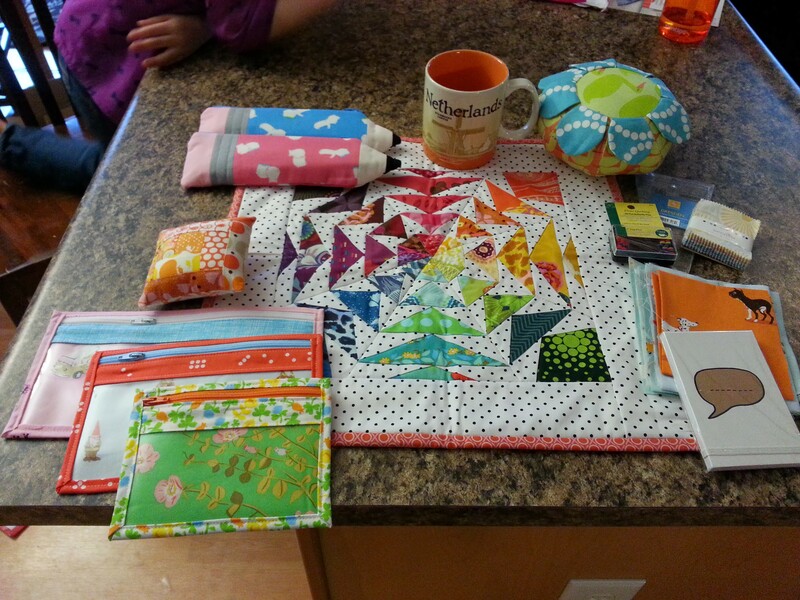 As you can see, she included a few things for my kids and my husband as well. She was so generous!! 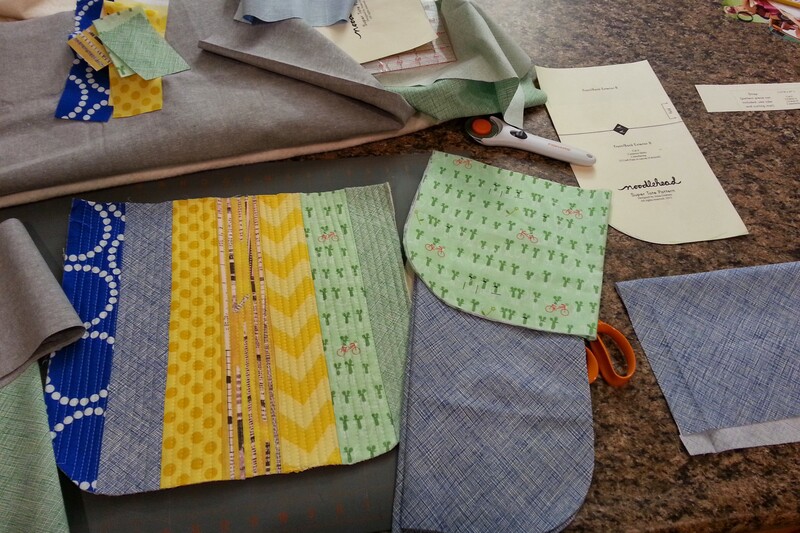 As soon as my sewing room is painted and I have a spot, I will be hanging this gorgeous mini up in there for sure! 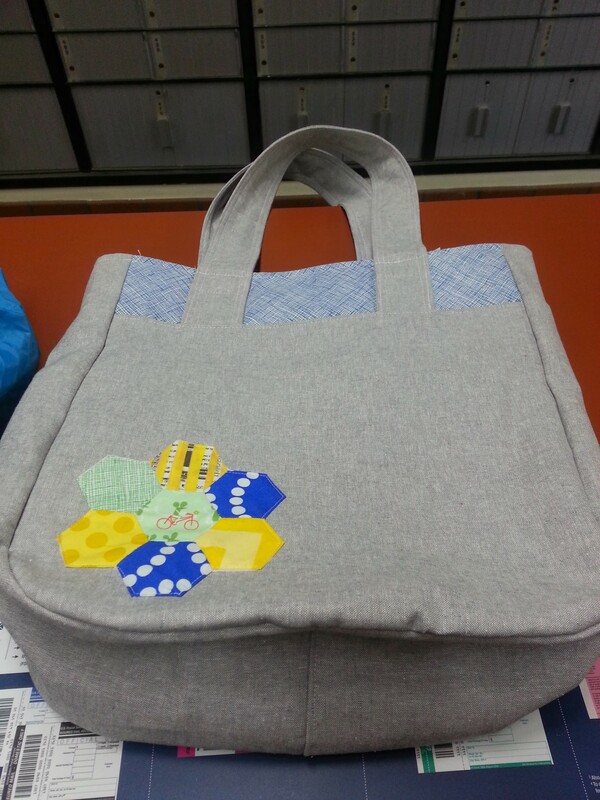 For my part, I made a SuperTote by Noodlehead. 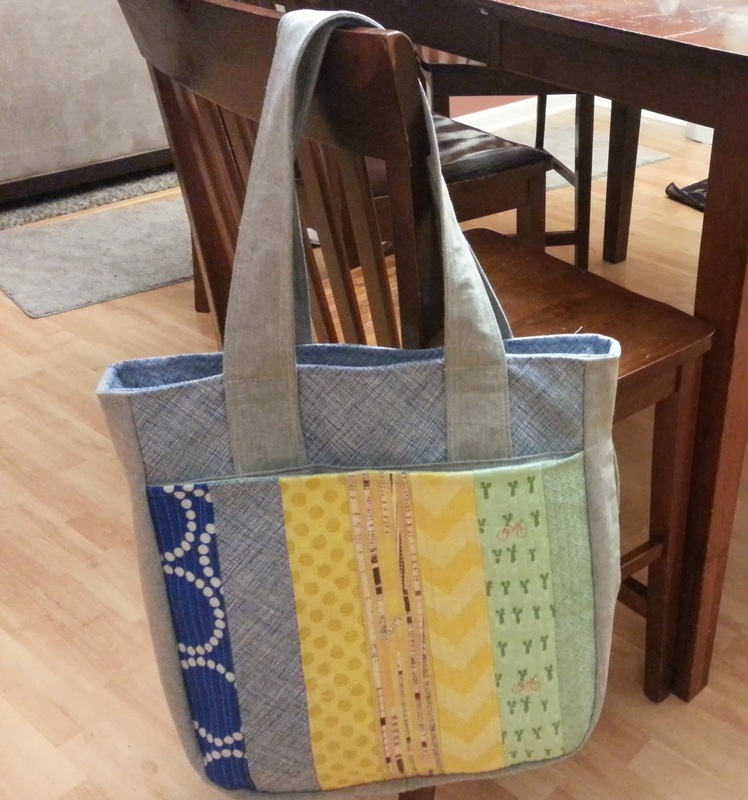 I have made this bag multiple times and I love it each time!! I included some goodies in her package, but forgot to take a pic of the whole thing. It was also my first time making a English Paper Pieced hexie flower, and appliqueing! I thought it turned out very well. I used Carolyn Friedlander’s Botanics and some Lizzy House mice, and Essex yarn dyed in Steel. They all looked great together, I thought!